There are two main groups of Circassians: the West, or Lower Circassian, who speak Adyghey; and the East, or Upper Circassian, who speak Kabardian. 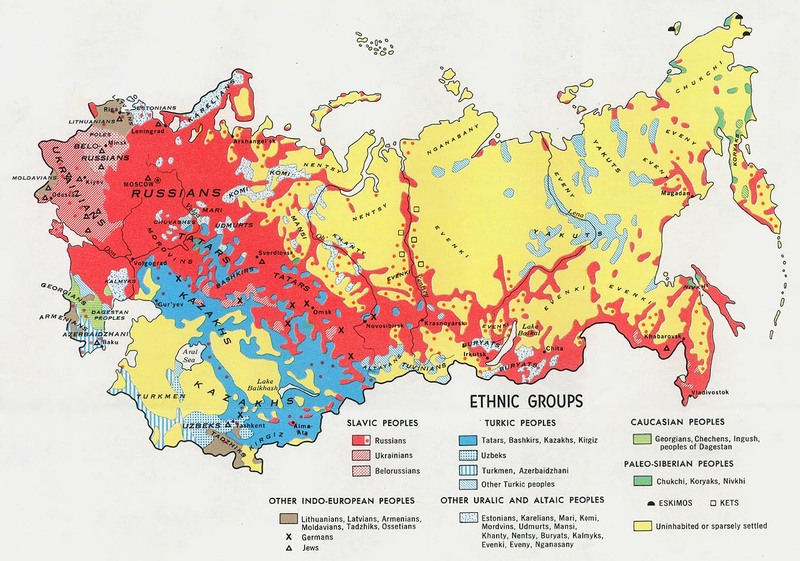 Their original homeland was an area in the northwestern Caucasus Mountains, extending out onto the Russian steppes. It was bounded on the west by the Black Sea, on the northwest by the Crimea, on the north by Ukraine, and on the east by Chechnya and Daghestan. The West Circassians of Russia represent a relatively small amount of a once large, important group of people. Having lived in the Caucasus area for thousands of years, they had contact with the many peoples who passed the steppes to the north. During that time, the Circassians knew almost constant warfare with these neighbors. By the mid-1860s, roughly 90% of the Circassian population had been either killed or forced to flee. Today, they live not only in their own homeland, but also in Turkey, Syria, Jordan, and Iraq, and other countries. In Russia, the Circassians are largely a rural people. Their traditional economy is based on herding and farming, supplemented by growing fruit. They also raise chickens, cows, sheep, goats, pigs, and especially horses. They grow a variety of grains, and in the highlands, they also hunt. They eat bread, milk, cheese, broth, fruit and vegetable dishes, and occasionally, a meat dish with a spicy nut sauce. Traditionally, Circassian houses were spaced fairly far apart along a river, generally in the higher country. The dwelling, called a wuna, was a long rectangular house with a porch extending along its front. It was made of twigs coated with mud and had a thatch roof. There were several rooms, including at least one for the women. The house usually had a large tree planted in front of its door to symbolize the growth and strength of the family. A vegetable garden and several other houses (for sons and their families), as well as buildings for livestock and food storage were located behind the main house. The entire compound was enclosed in a stockade. Today, in the lowland villages where most of the people live, standardized brick homes with garden plots have replaced traditional patterns. Many Circassians now live in the cities of Maikop, Armavir, Krasnodar, Cherkassk, Stavrapol, Nalchik, and Mozdok. These centers have Circassian institutes and schools, and some Circassians have moved there to be near their work. Outside of the cities, the extended family is the most common unit, sometimes containing as many as four or five generations. Members of a tlapq (clan) are descended from the same male ancestors and share a common name. Marriages are based on love or mutual interest and occur when the couple is in their early thirties. The wife has authority over many of the household matters, but the husband has the final say in disputes. A man was traditionally never without his dagger, and few things were more important to him than his weapons. This reflected the prevalence of the "blood feud." Circassian folklore is rich, varied, and has served as a basis for modern literature and poetry. In recent years, the areas in which Circassians live were elevated in status to republics and were allowed to fly the old Circassian flag. An effort is now being made, through land grants and other incentives, to have scattered Circassians return to their homeland. In fact, a number have returned, and some even dream of the return of all Circassians to the Caucasus. Christianity was brought to the Circassians between the sixth and twelfth centuries, but they have been Muslims for the past three or four hundred years. Nevertheless, many pagan relics and some forms of Eastern Orthodox Christianity still exist in their oral traditions and religious practices. The Circassians of Russia need Christian laborers to live and work among them. Like many ethnic groups, they are searching for national identity. Prayer is the first step towards seeing them find true identity in Jesus. * Scripture Prayers for the Adyghe, West Circassian in Russia. * Ask the Lord of the harvest to send long-term missionaries to the West Circassians of Russia. * Pray that God will use Christians in Russia to reach out to the West Circassians. * Ask the Lord to save key leaders among the Circassians who will boldly declare the Gospel. * Pray for Christian media to be translated into Adyghey. * Pray that strong local churches will be raised up among the Circassians.